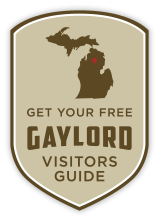 If you’re in need of some cardio or an energy booster for the family, Gaylord has you covered! We offer a variety of options to keep you moving! Tennis is a sport for all ages that can be played throughout your lifetime! Thanks to the grant writing and fundraising of the Alpine Regional Tennis Association (ARTA), Gaylord has four brand new tennis courts located at the Otsego County Sportsplex. Along with providing the public with state-of-the-art tennis courts, this new addition will make it possible for Gaylord to host local and regional tournaments. You may drop in to use these courts, but making a reservation through the Sportsplex is recommended. 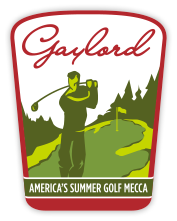 Gaylord also has several other locations with outdoor tennis courts. Aspen Park and the Otsego County Community Center have two courts each, with no fees or reservations required. The Community Center has a few rackets to borrow if needed, however, their summer hours are limited, so you may want to bring your own. Just east of town, Treetops Resort has 2 courts and you should call the resort for reservation information. Private and professional lessons for individuals or families are available through Dave Johnson, and he can teach at any of the courts listed above. In the Alpine Village, winter fun is available year-round! You can ice skate 10 months out of the year at the Otsego County Sportsplex. Rentals are available and you can check out their website for the current week’s rink schedule. If you would like the full winter experience, Treetops Resort has an outdoor rink each year and Skier Services has skates for rent. The Otsego County Sportsplex is the place to swim year round! Their 25 yard lap pool has 6 different lanes, is 3 – 12 feet deep and comes with a fun slide. A second pool ranging from zero – 3 feet deep is also available, featuring spa jets, floor bubblers and a play fountain. Swimming lessons and aqua fit classes are held here, too. Checkout their website for the current week pool schedule. Libke Fields are open from 8am until dusk and can be rented for a full day of family fun! These fields may be used for softball, flag football or soccer. If you’re looking for something new to try, check out one of these variations on Kickball. If you’re just hoping to take in a game, The Blind Squirrel hosts softball leagues throughout the summer. The Otsego County Community Center offers 3-on-3 outdoor courts or a full court indoors. You should call for availability of the full size indoor court. Find 5 fun, new games to play on a small basketball court here! The Otsego County Community Center has an indoor volleyball court and you should make arrangements ahead of time. If you’re enjoying a day at the beach, the Otsego Lake State Park has a sand court as well as 2 volleyball nets in the water, while the Otsego Lake County Park has a sand court. What is Pickleball, you ask? Find out here! When you’re ready to give it a try, call the Otsego County Sportsplex to reserve your time slot. They have all the equipment for you to use when you rent the court. Powerhouse Gym is the place for Racquetball or Wallyball! Reservations are recommended. A Skate Park, for skateboarders, inline skaters and BMX bicyclists, is located at the Otsego County Sportsplex ~ Energy Outlet. The park has been transitioning to this location since fall of 2016.